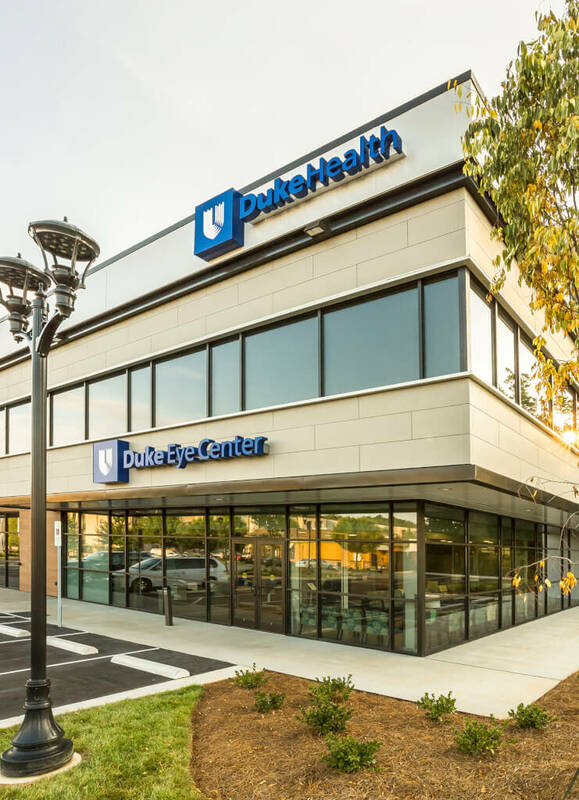 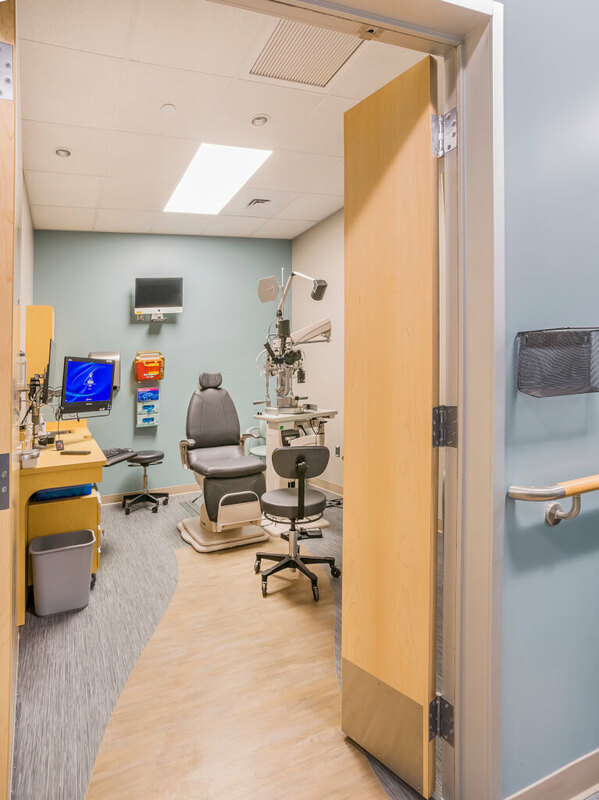 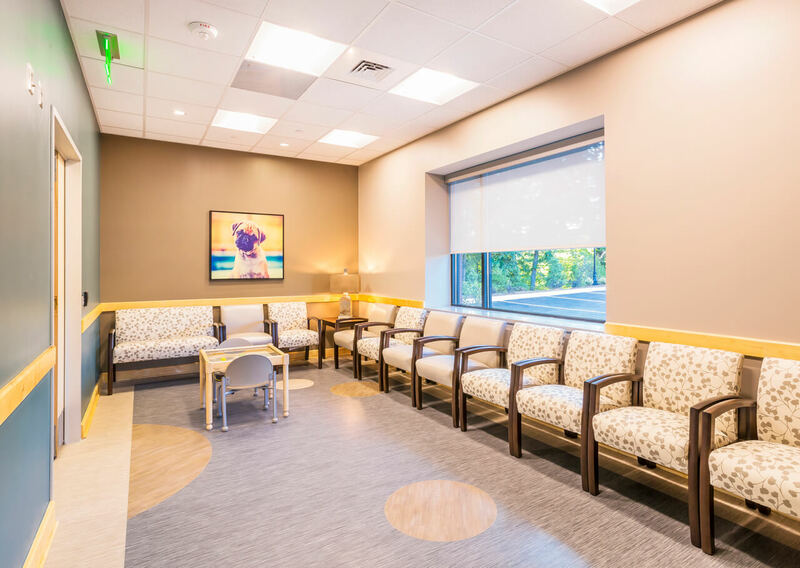 Duke Eye is a first-time upfit for the first floor of approximately 10,135 sf for a new eye clinic and about 1,750 sf of administrative space on the second floor. 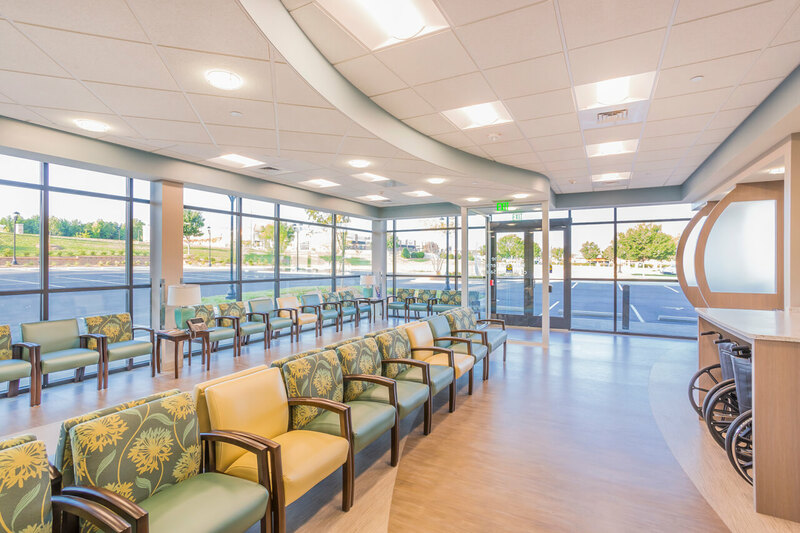 The work includes architectural demolition, electrical, plumbing, HVAC, sprinkler, and fire alarm. 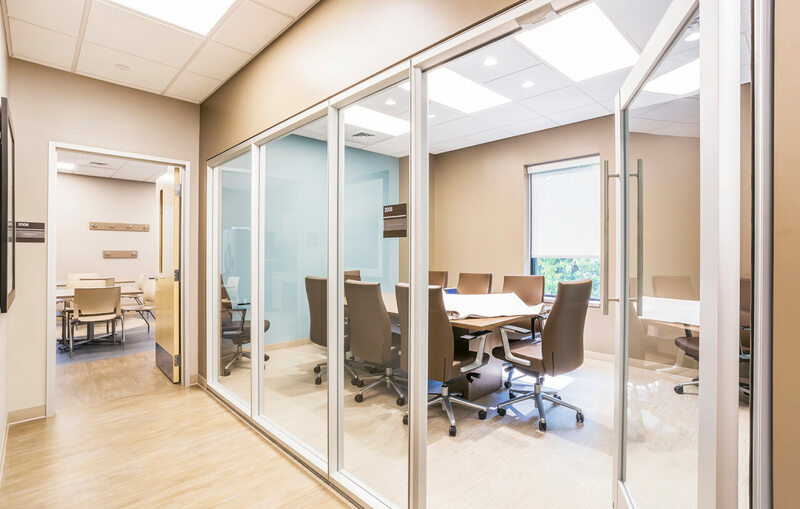 Finishes consist of Raco Aluminum door frames, ceiling clouds, and customer casework.